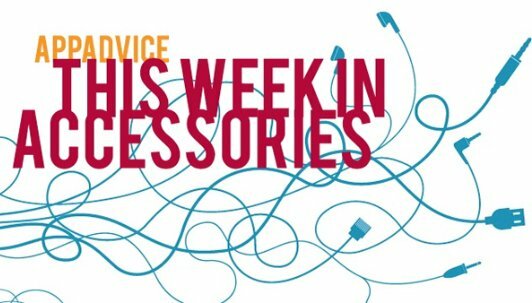 Welcome back our weekly look at some of the latest and greatest iOS device accessories to hit the market. Since the iPad Air 2 officially launched earlier this week, we’re bringing you six case choices for the new tablet and more. 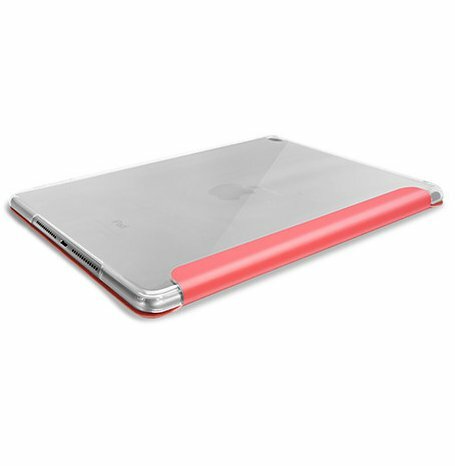 This interesting take on the usual iPad folio features a clear rear shell that helps the tablet shine through. The cover offers built-in magnets that will automatically turn the iPad on and off. Available in black, pink, or white, the Engage Folio can be purchased for $34.99. 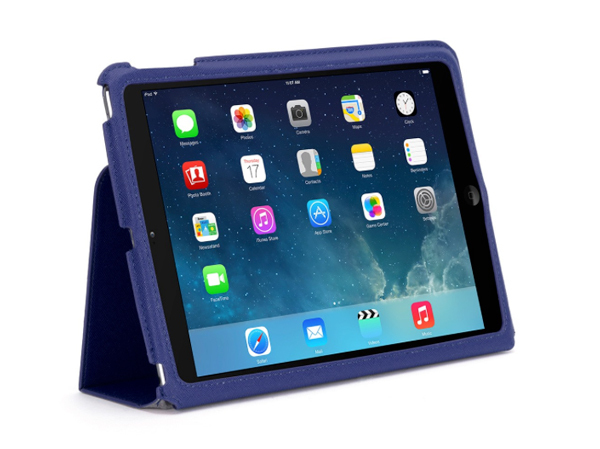 Griffin’s popular rugged case line is making its way to the new iPad Air 2. 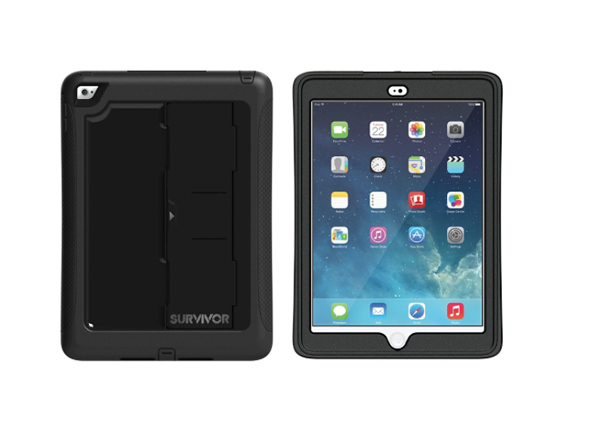 The Survivor All-Terrain offers four layers of protection, including a built-in screen protector. It is designed to protect the tablet from up to a 6.6 foot drop onto a concrete floor. 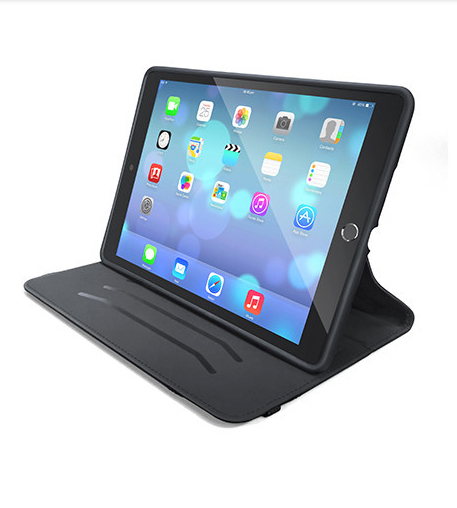 Along with providing access to the Touch ID sensor, the included stand can place the tablet into a number of positions for movie watching or typing. Buyers can select from three different color combinations. It can be ordered now from Griffin’s site for $79.99. It will ship in 1 to 2 weeks. 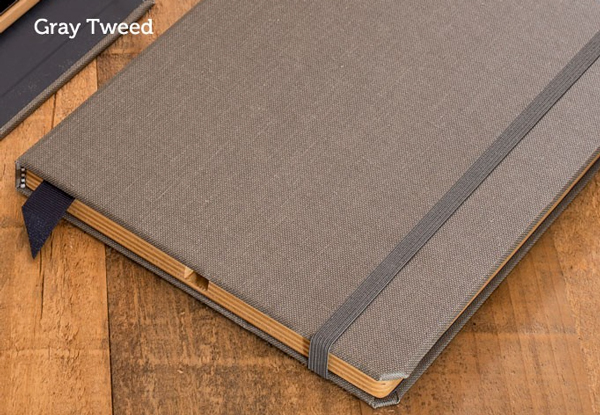 A more traditional folio, the SmartStyle offers a waxed canvas cover that completely wraps around the iPad Air 2. A built-in elastic band hold the cover shut. It can also be used as a stand for media viewing or typing. Available in black, it is $39.99. 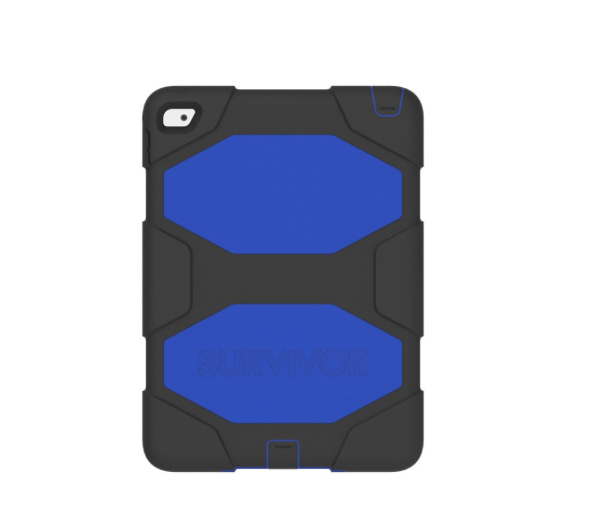 A sleeker case option that still provides a nice amount of protection, the Survivor Slim features a plastic shell ringed with a silicone bumper that helps absorb shock and make the case easy to carry. The built-in kickstand locks into place for easy movie watching or typing. Available in black or pink, the case is also $79.99 and can be ordered now from Griffin. It will ship in 1 to 2 weeks. This beautiful handmade case option features a tablet cradle made from Baltic Burch wood and a high-quality exterior made with buckram linen. The interior is made with traditional book-bindery materials. Users can also place the iPad Air 2 into a number of positions. Available in two different color combinations – cranberry/gray and brown/blue, the case can be preordered now for $79.99 from Pad & Quill’s site. It will ship to buyers in mid-November. Fitting both generations of the iPad Air, the Slim Folio protects the tablet with a microsuede inner lining. Users can also place their tablet in two different viewing positions. The case comes in three different color choices – black, blue, and red. It retails for $29.99 and is in stock now. Even the timeless nightlight is getting a smart makeover. 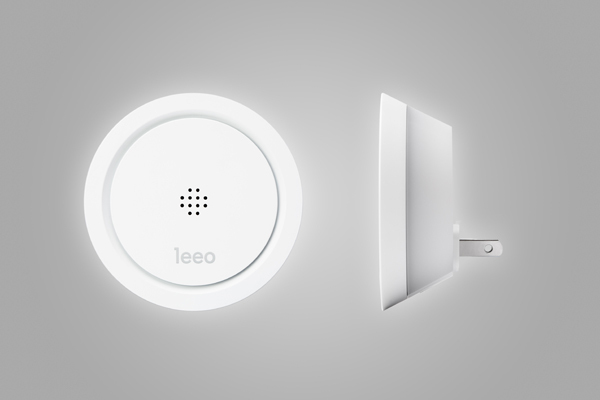 The standout feature of the Leeo is that it will listen to existing smoke or carbon monoxide detectors already installed in a home. With a companion app, users can be notified whenever the alarms go off, no matter where they are. Using the app, homeowners can also listen to the alarm and dial emergency services, if desired. It even can monitor room humidity and temperature. The nightlight itself has more than 16 million color options to display. The Leeo is available to purchase now for $99. Another nice looking external battery pack from Juno Power, the Nova BLOX is made with a aluminum exterior and offers 2.1A of output for fast charging times. The battery itself is 4,000mAH and can provide an additional 12 hours of talk time for the iPhone 5. It also offers a built-in LED flashlight. 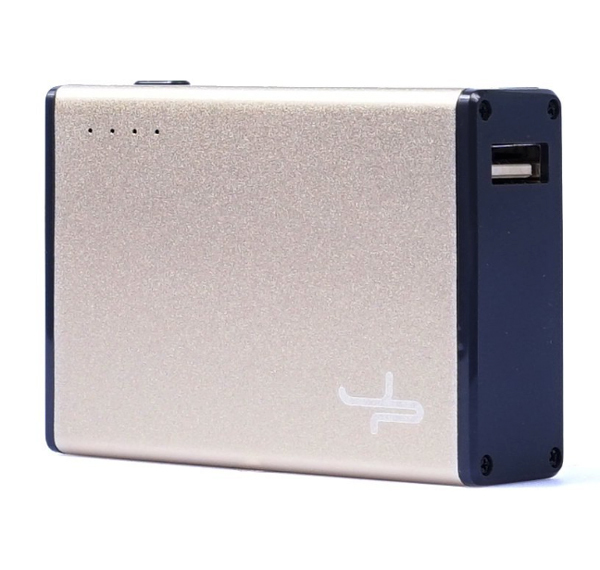 The battery is available from Amazon.com or Juno Power’s site for $24.99. Buyers can select from a gold, silver, or gray version to match their iPhone color. 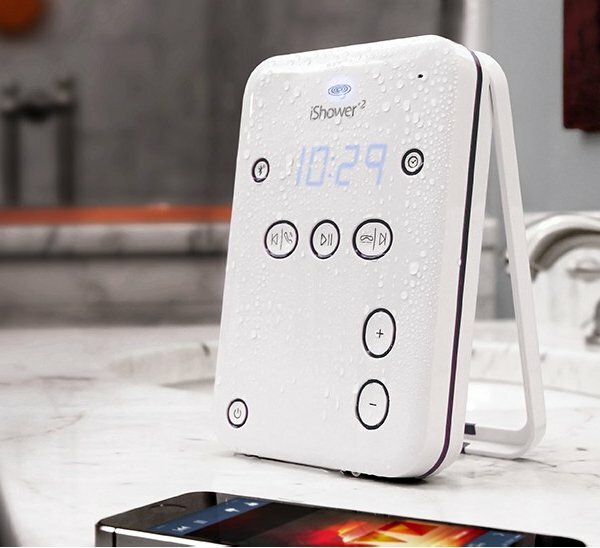 Improving on the original, iDevices has just announced the new iShower2. The water resistant speaker has a 200-foot Bluetooth range so you can safely place your phone away from any water while using the speaker to listen to music and pretty much anything else. A built-in speaker allows users to even place phone calls in the shower if they really want to. Up to five different users can connect to the speaker. And along with multiple mounting options, the iShower2’s clock will help keep you on time in the morning. With 3AA batteries, users can listen to music for up to 25 hours. The iShower2 can be preordered now for $99.99. It should ship sometime next month. Until next Thursday, you can snag a high-quality case for the iPhone 5s/5, iPhone 5c, or iPad Air for just $10. 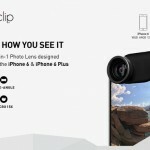 The four lenses will work on either the front or rear-facing camera of Apple’s newest handsets. 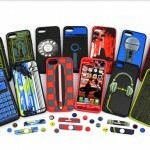 Still looking for a case for your new iPhone? Consider Tech21.